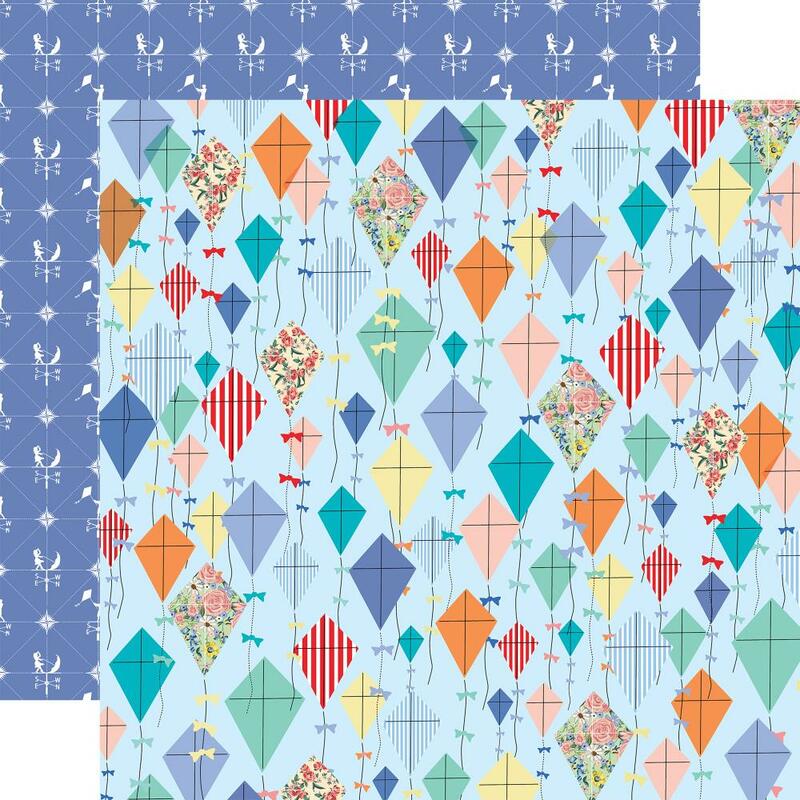 This 12x12 double sided paper has Colorful Kites with Bows on the frontside. The reverse side has a Denim Finish with White Wind Vanes. Look for coordinating Decorative Brads, Chipboard Elements and beautiful textured Designer Papers. Part of the Practically Perfect Collection by Carta Bella Paper Company.